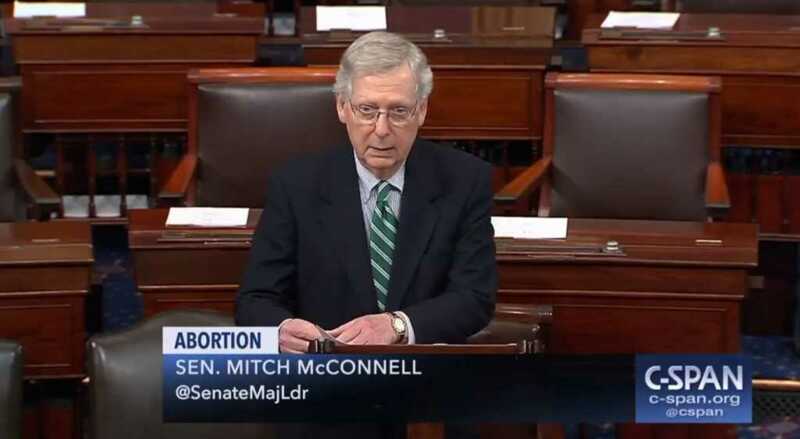 Senate Majority Leader Mitch McConnell urged his Democratic colleagues Monday not to block a bill ensuring that any babies who are born alive during abortions receive urgent medical care. While Bush’s “Born-Alive Infants Protection Act” outlined the legal rights afforded to newborn babies who survive abortion, Sasse’s latest proposal focuses more on the responsibility of medical staff who are tasked with taking care of the infant amid these tragic circumstances. "You're either for babies or you're defending infanticide"
"Don't let Gov. Northam define you"
Following Sasse’s plea, McConnell delivered a speech to the Senate, urging the Democrats not to block such a vital piece of life-saving legislation. “It is harrowing that this legislation is even necessary,” McConnell added. Almost unbelievably, the Democrats objected to the bill, with Sen. Patty Murray (D-WA) claiming that there are already enough laws in place on the issue. “This is a gross misinterpretation of the actual language of the bill that is being asked to be considered and, therefore, I object,” Murray said, according to LifeSite News. Incredibly, Murray was the only Democratic senator to even attend the Senate floor and left immediately after objecting. "Ben Sasse Wants to Ban Infanticide after Botched Abortions"